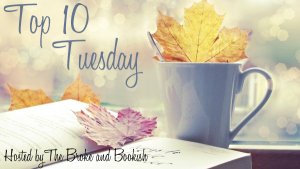 Book to Movie- Top Ten Adaptations I can’t wait to see! I didn’t get through this book, but I have a feeling Matt Damon can keep my interest. I haven’t read the book yet, but it is on my winter TBR. I think of curling up on the couch with a blanket and some good books. I have had a big interest in Whitey Black ever since I saw him (when he was in hiding) at a friend’s wedding. I really think I read this book, but I am ashamed to say I don’t remember. The movie looks great. I made sure to finish the book before I found out anything about the movie. LOVE Emilia Clark as Louisa!! I loved this book. I kept laughing the whole time I read it! My very first audiobook, and I loved it. I can’t wait to see Jennifer Lawrence as Agnes. Also J Law- love her as Katniss. The newest adaptation of this classic is told from the point of view of Igor, played by Daniel Radcliffe. Okay, I’ve added A Walk In The Woods and Burial Rites to my TBR list. I can use a good laugh. Room is on my list as well. I haven’t read the book, but it is on my TBR. Hopefully, I’ll read it before I see the movie! Great list! Did you read After You? I almost don’t want to. I haven’t read Burial Rites yet, but I hear it was very good. I’d love to see a movie version. Wait, there’s going to be a movie of Burial Rites??? Such an amazing book – the movie should be great! I finally saw The Martian this past weekend and loved it (but then again, I loved the book too). Great list! Jennifer Lawrence is signed on as Agnes. I am hoping to see The Martian this weekend!